HAPPY NEW YEAR!!!! We truly welcome 2019! If you can tolerate the cold weather, there are several things that you can do this month in your landscape that will lighten the load for the rest of the season. The main item is pruning or thinning of our woody ornamentals. Deciduous trees such as maples, oaks, ash, etc., can be pruned at this time. Interior, broken, or crossing branches should be removed now while you can see exactly what you are removing. Now, I want to mention “bird feeding.” It’s hard to say who benefits more from backyard bird feeders, the birds or the people who feed them. Hang different types of feeders at different heights and near enough to your house so you can watch the birds at relatively close range. It is important to provide unfrozen water for the birds throughout winter. Put your birdbath in an open area, but near some trees or bushes to permit a quick escape if predators approach. Birds will visit regularly once they discover it is a safe and steady source of fresh water. Open water in freezing weather will attract as many or more birds, as a well-stocked feeder! 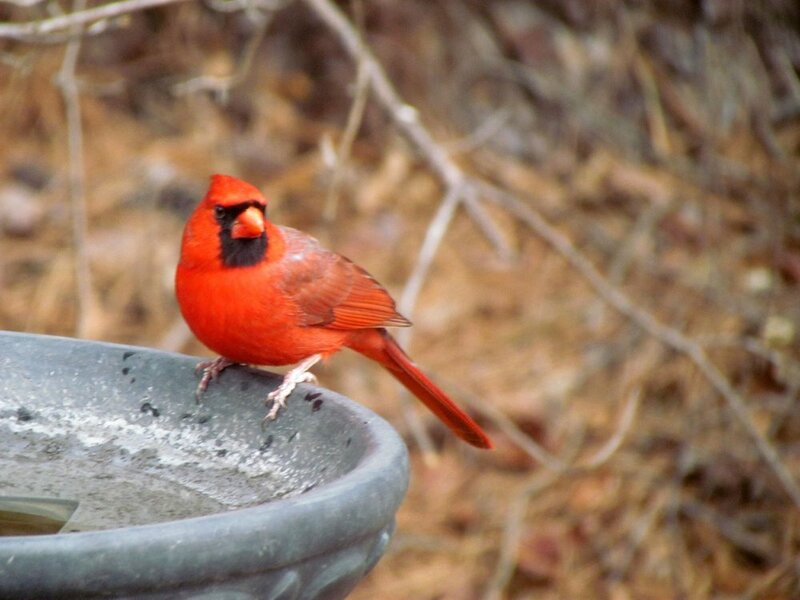 Besides for drinking, birds use water to help keep them warmer in winter. By cleaning their feathers and grooming them with natural oils, our feathered friends are able to help insulate their bodies from cold. You can keep water thawed with a submersible heater placed directly in the water. Heated birdbaths are also available. Birds appear to be homeless in winter, which makes people wonder where they go at night. In general, they choose to roost in the same kind of places as they build their nest during breeding season. Some birds will use the same roosting spot every night unless predators disturb them. Visit the nursery often as the greenhouse is a great place to spend some time during dreary days of winter. In addition, new houseplants will be arriving weekly! Time flies fast, so enjoy this winter, do an analysis on your landscape and prepare for spring projects… and we will “see you in the garden”.